(Spoiler Alert: The doll ain't pretty and there was no spying.) For reasons never explained, the Makuu have discovered a scientist who invented a bacteria called Bacillus X0. Apparently it is deadly and they will stop at nothing to force that man to weaponize it. How does the doll become involved in this? Click 'Read More' to find out! The episode starts at a research lab. A night guard is patrolling the building and checks a room that mysteriously had the door open. A DoubleMan is inside the office, stealing documents! 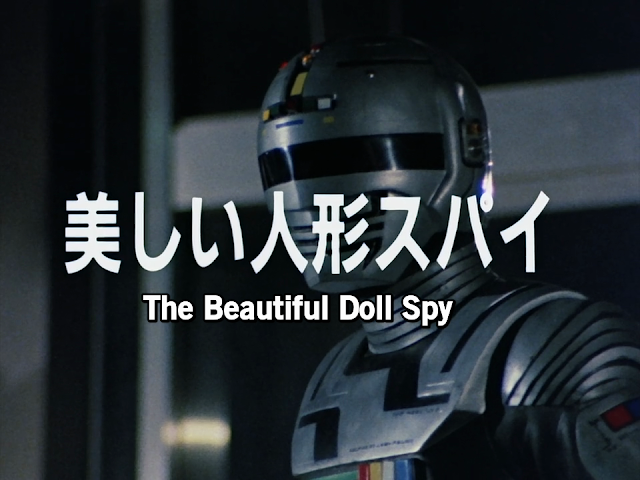 The guard activates the Gavan-Signal and our hero arrives to intercept the DoubleMan. Gavan 'Laser Z Beams' the monster and the episode is ov...wait...the DoubleMan reflects the laser with his mirror shield! 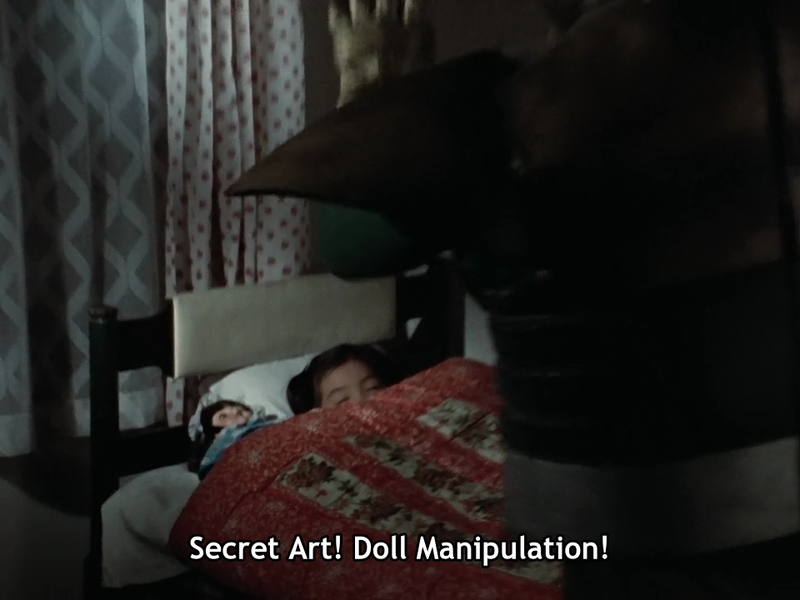 Wow, the Makuu do learn from their mistakes. Yet again, for reasons unknown to me, the monster disappears. Gavan reports this theft to his commander, Qom. Somehow Qom knows the super secret scientist who never released his research notes about a deadly bacteria strain is named Sugimoto Tetsuya. The bacteria is titled Bacillus X0. How it works is by growing inside the body until it feels like simultaneously killing itself and in turn, killing the host due to toxic shock. Sugimoto disappeared before he could release the report on the bacteria. 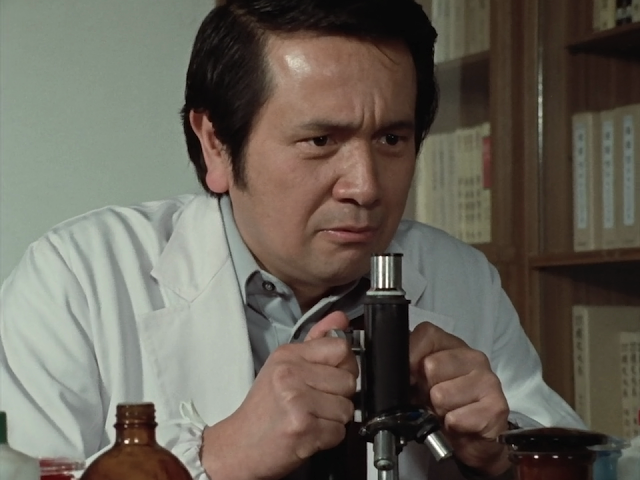 Once again, for reasons never explained, the Makuu discover the scientist that went into hiding. They capture him and his family and coerce him to make the bacteria or his family dies. 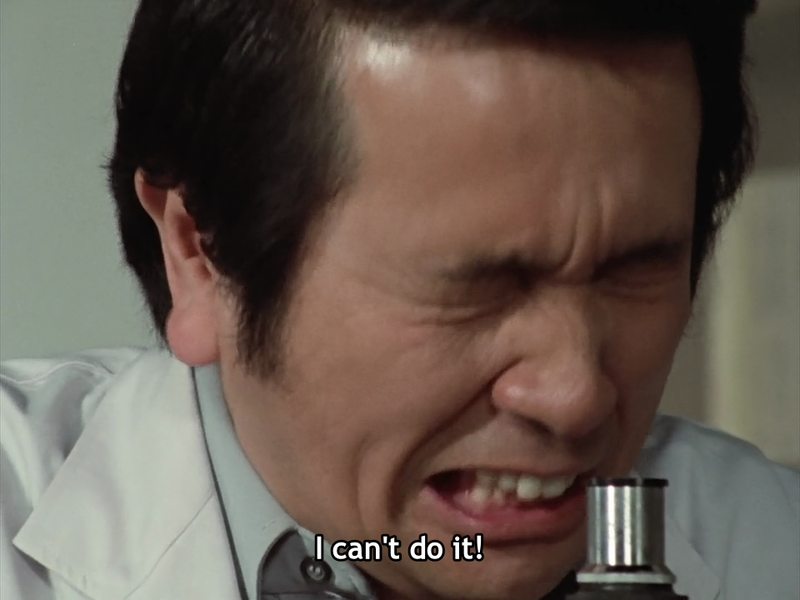 Gavan finds the scientist and frees his family before taking on the DoubleMan. DoubleMan gets sliced in half and everybody is happy. THE END. This episode was bad. 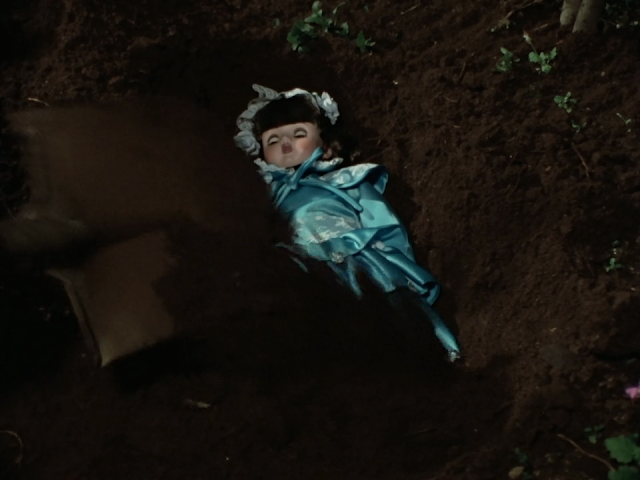 The entire Spy Doll gimmick was the DoubleMan hiding in the doll after it got caught snooping around Sugimoto's house. Basically, three minutes were dedicated to the episode's title and the rest was a bland show. It was interesting how they finally used something to negate Gavan's one hit knock out attack, the Laser Z Beam. Besides the three goofy moments you see in the screenshots, it was an insult to the other Gavan episodes. I really hated how frequently the plot was forced forward when they gave no legitimate reason as to how the Makuu or the Space Police knew about Bacillus X0, where Sugimoto was, and the alias he was using. Altogether, watch it for the train-wreck it is or just skip it.